Huawei Mate 8, the huge phablet and the successor of the Huawei Mate 7 is officially here. Huawei has recently managed to grab our attention with the likes of the Huawei Nexus 6P and Huawei Honor 7. 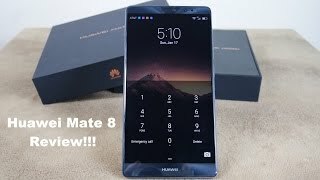 Let’s see if the Huawei Mate 8 Dubai price is worth checking out or not. The Huawei Mate 8 is huge and features a big 6.0-inch screen showing 1920 x 1080 pixels resolution and 368ppi of pixel density. It’s quite thin with 7.9mm thickness and will be available in four different colors if you are waiting for the Huawei Mate 8 release date UAE, gold, brown, silver and gray. It will be running the latest Android Marshmallow 6.0 right out of the box. However, if you are looking for something else, there is the Huawei Nexus 6P and Motorola Nexus 6 that you can check out. For capturing images and videos, users get a 16-meapixel camera with dual-LED on the back and an 8-megapixel selfie camera. The battery is also quite big, 4000mAh in size and also comes with fast battery charging which means running out of juice won’t be a problem with this one. Other big features of this phone are: HiSilicon Kirin 950 octa-core processor, 3GB of RAM with the 32GB version and 4GB of RAM with the 64GB and 128GB version, microSD card slot and all the standard connectivity options including NFC, GPS, LTE and Wi-Fi. If you are looking for flagship smartphones, there is the Samsung Galaxy Note 5 and iPhone 6S Plus you can check out. The Huawei Mate 8 will be quite expensive and the starting price is going to be around AED 1800 when it’s here. 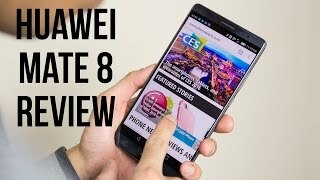 The Huawei Mate 8 release date UAE is expected sometimes in January, 2016 once it’s available globally. 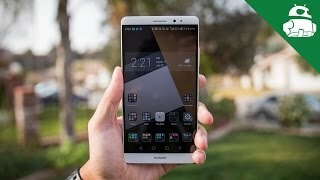 Huawei surprised us last year with the Huawei Mate7 that included a superfast fingerprint scanner, nice and stylish design and a decent 13-megapixel camera. This year, they decided to top that with the Huawei Mate 8. 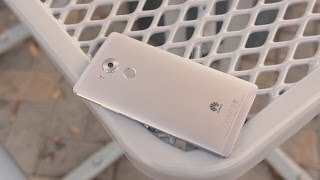 To learn more about the smartphone including Huawei Mate 8 Dubai price and specs, keep reading. 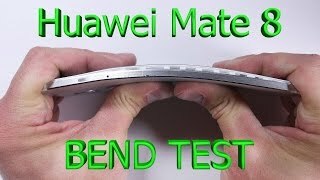 Just like the Huawei Ascend Mate7, the Huawei Mate 8 features a 6-inch display. However, it will be showing 2560 x 1440 pixels resolution instead of 1080p showing 490ppi of pixel density. The display is protected by Gorilla Glass 4. The smartphone will be running Android Lollipop out of the box instead of the latest Android Marshmallow. The battery is non-removable and the secondary SIM slot can be used as microSD card slot as well. For those who are interested to check out some more latest smartphones can check out the Huawei Nexus 6P or Samsung Galaxy Note 5. For capturing images, there is a 20.7-megapixel rear camera with dual-LED flash and 8-megapixel camera on the front. It’s capable of handling all the latest heavy games and apps thanks to its HiSilicon Kirin 950 processor paired with optional 3GB of RAM (32GB version) or 4GB of RAM (64GB version). 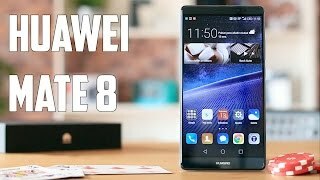 For those who are looking for a good camera phone without waiting for the Huawei Mate 8 release date UAE can check out the Samsung Galaxy S6 Edge + or iPhone 6S Plus. The starting price of the Huawei Mate 8 is expected to be around AED 2000 . The Huawei Mate 8 release date UAE is still a mystery, but it’s expected to show up sometimes in late November or sometimes in December. 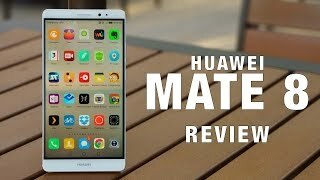 The mate8 smartphone android ,4gb ram,64 gb storage, 6.0 inch hd display, dual camera,dual sim-gold Mobile Phone is manufactured by Huawei and was added around March 2019. This version of the Mobile Phone comes in Color : Gold , Capacity : 64 GB , Display Size : 6 Inch , Sim Cards Slots : Dual Sim , Special Features : Touch Screen , Device RAM : 4 GB.